The split will see two new companies in place of one -- Hewlett-Packard Enterprise, and HP Inc.
Hewlett-Packard, HP, H-P -- whatever name you know the technology giant by -- is about to undergo a massive, industry-shaking change. Earlier reports that HP planned on splitting in half have been confirmed by the company, and massive layoffs are coming in tow. HP will split right down the middle, effecitvely, forming its consumer operations into one entity, and its enterprise efforts into another. Hewlett-Packard Enterprise will focus on "servers, storage, networking, converged systems, services and software as well as its OpenStack Helion cloud platform," and will be run by current HP CEO Meg Whitman. 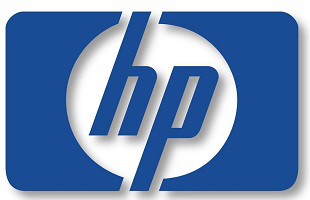 The other half, soon to be known as HP Inc, will continue with the consumer business -- PCs, tablets, printers, etc. New ventures will include "3D printing and new computing experiences." HP Inc. will be run by Dion Weisler, who currently serves as HP's EVP, Printing and Personal Systems. Layoffs are a major component of the corporate split, unfortunately. Since October 2013, HP has laid off close to 36,000 employees -- over ten percent of its 317,000-strong workforce. By the time this split is complete, and the dust has settled, the total number of trimmed workers is expected to reach 55,000. As Ars Technica points out, that's nearly 10,000 more cut positions than Google's entire workforce (roughly 48,000). HP has been struggling under its own weight for some time now, as many companies of the same size do. The aforementioned layoffs were triggered after Meg Whitman took over as CEO, in an effort to streamline the corporation. Those efforts have presumably failed, as did merger talks between HP and EMC. This is where the company split comes in. No one can say for sure if the split will actually be helpful for both sides, but look out for some serious transformation. The new Hewlett-Packard Enterprise will continue on with HP's business-focused offerings, including servers, big business machines, and services. But I'm expecting an IBM-like attempt to transform into a services and consulting firm. That strategy has worked quite well for IBM, and Meg Whitman has the experience to pull such a move. Confidence isn't as high for HP Inc., even if the company has stepped up its efforts in the PC and printer spaces recently. Being in the consumer PC business right now is particularly tough, as evidenced by Sony's sell-off of its own PC division, and Samsung's own possible exit. But a smaller, more nimble HP Inc. could see a turnaround, particularly if it gets more serious about mobile.